New: Can we do more in northern Nigeria to help persecuted Christians? In spite of all these bad conditions in Qaraqoush many civilians decided to return back to their houses, they are concerned about the lives of their children and it was really a great privilege and tremendous blessing to have an opportunity to reflect Jesus light and show the love of Jesus to all poor children surrounding us and we felt the reaction of gratitude and glee that appear in the faces of these children due to the blessed time we spent with them in worshiping, praying, distributing gifts and sharing food all together. 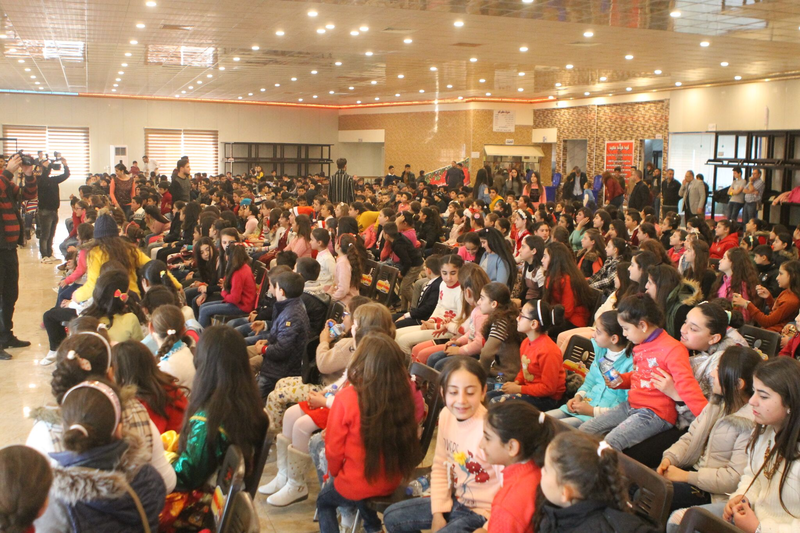 We celebrated the birth of our lord Jesus with 447 Christian kids from ages 10 to 11 years. The responsible pastor in the local church at Qarakoush told us 440 children and we were surprised that this number was increased rapidly to 447. I would happily like to inform you that five members from our team cooperating with four pastors and 28 members belonging to the local church acting as the hands and feet of Jesus to provide Christmas for the children. The West Bank: In the first newsletter of the year I mentioned briefly that we could not enter Iraq to help coordinate Christmas programs there that my wife Nancy and I visited our older missions in what is most often referred to as the West Bank. We visited Hope School which the Religious Freedom Coalition supported for over a decade until the head master Solomon Noir died and contact was lost. We had paid to refurbish the kitchen of this Christian school in Beit Jala and supplied many other enhancements. While visiting Beit Jala, which is just north of Bethlehem, I had the opportunity to meet and pray with the new Head Mater of the Hope School. We stayed in the apartment of our good friends David and Leah Ortiz who have served an evangelistic ministry in Israel for decades. David served in the Israeli Defense Force as did all but one of his children. The youngest son, Ami, was severely wounded in a bombing of the Ortiz apartment in 2008 …. Yes … This is the same apartment we stayed in. Sadly, it was not a Muslim but rather a Jewish extremist who bombed the apartment. Ami spent a full year in the hospital and still today needs some surgeries. In the last newsletter I mentioned travelling to Bethlehem and other areas in “Area A” and having lunch with a Palestinian Christian family. Area A is the zone controlled by the Palestinian Authority under the agreement reached during the Bill Clinton Administration. After this agreement the vast majority of Christians were run out of Bethlehem which is in Area A. Since their time in jail both men have managed to obtain Israeli citizenship. This does not mean they are out of danger. Former Muslims who converted to Christianity are persecuted among their own people even in Israel. They recounted the torture to me that they had endured while jailed and showed me their scars. They could have stopped the torture by renouncing Jesus Christ, but both choose Salvation through Him and endured the physical torture. 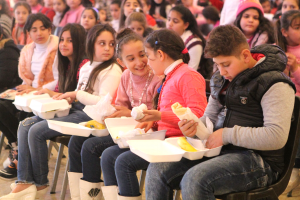 I rarely write about our ministry efforts in the West Bank for various reasons. Some of the work we will be doing there over the next year I simple cannot write about because it would jeopardize our efforts. While in Bethlehem I visited an old friend, who owns a wonderful shop that sells Olive wood carvings and Jerusalem stone. I have in my home a Last Supper carving in Olive wood that I and my wife cherish. We have had it since we led a tour to Israel in 1994. In 2002 the shop was nearly destroyed along with a small hotel the family owned during fighting between the Israeli Army and PLO fighters. The shop was closed for some time. I had visited twice hoping to see my old friend only to find the shop closed while his family took refuge in Cyprus. When I arrive at his shop at Christmas time and saw buses parked out front my heart leaped with joy for the family. I met and talked for some time with my old friend and promised that I would once again send tours his way. Over the years I led may tours to Israel, but my work in the Middle East since the Second Gulf War has led me do most of my work with Christians in the Levant. The Christmas celebrations in Bethlehem were overshadowed by demonstrations. While we were in Bethlehem two people were killed in demonstrations at the wall that separates Area A from Israel. Fortunately, we were able to stay clear of the demonstrations. Sometime this year I hope I will be able to discuss a project I am working on in the West Bank, but now is not the time. Nigeria: I cannot begin to tell you how great the need is in northern Nigeria. More than a dozen Christians have been murdered there for their faith just since I mailed you the January 9th edition of the Chairman’s Report. The number of Christian orphans is astounding as Christian parents are slaughtered by Muslim terrorist groups at an alarming rate. Most in America did not know about the persecution of Christians until the night of April 15th, 2014 when 276 Christian female students were kidnapped by the Boko Haram which is now affiliated with the Islamic State. I have written about the Boko Haram and Nigerian Christians numerous times and have wanted to do more to help. We are still receiving messages of thanks from the children and those who run the orphanage near Jos, Nigeria for providing a Christmas program for them this year. Sadly, even more children made orphans by Islamic terror have been brought to the orphanage since the Christmas program was help. We must expand our efforts in Nigeria if we are able, but we cannot jeopardize our programs in the Middle East. 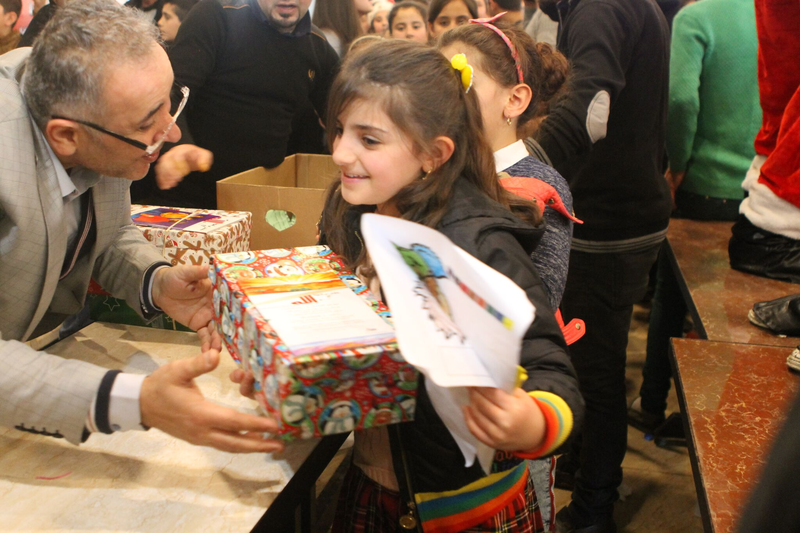 The Christmas for Refugees programs have become a tradition in churches that assist refugees in Lebanon, Jordan and Iraq. The programs must continue and expand to help families return to normal lives as much as possible. 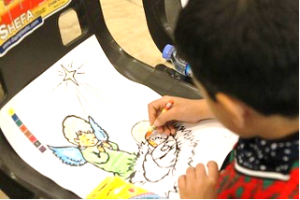 Please pray for the direction of God for the Christmas for Refugees program.